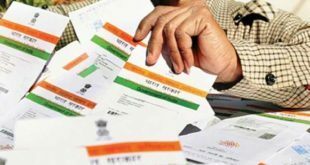 Home / India / Govt Documents / PAN Card / How to check PAN Card status with Name & Date of Birth ? Check Status of Changes or Correction in PAN Card Application with Name & Date of Birth. Now, you can track PAN Card Application status by Name and Date of Birth. Let’s begin with the process to track the current status of your PAN card application. As soon as you visit the above link, you will find 6 options under ‘Application for PAN through Online Servces’. 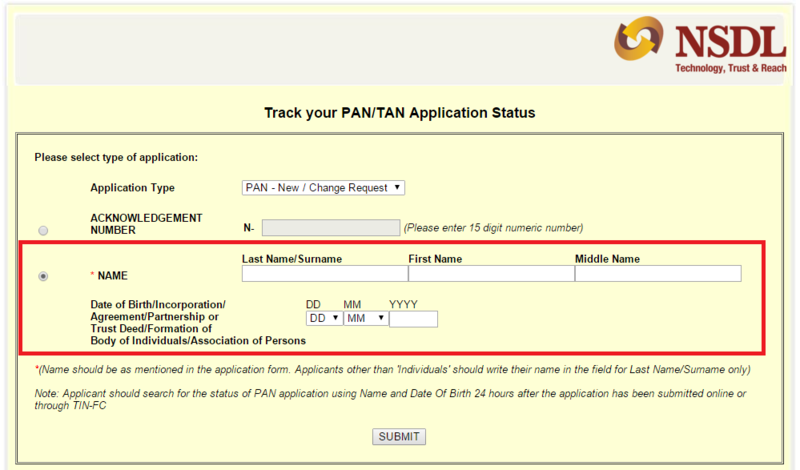 You need to click on the last button which says ‘Status Track for PAN Application’ (Highlighted the image given below). Application Type – Select PAN -New/Change Request. Finally, after entering the above details you need to click on SUBMIT button to check PAN Card status. Important Note : You can track status of PAN Card Application only after 24 hours after the application has been submitted by using this facility. Hope that the process of track PAN Card Status with Name & Date of Birth is clear to you. If you have any doubts or queries, you may leave your comments below. How to change PAN Card Address and other details Online ? 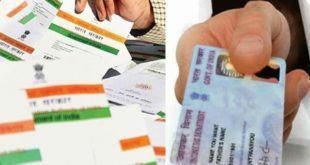 How to change Name in PAN Card for Marriage or any other reason ? How to check PAN Card Address Online ? I am having a PAN card where in my name has been spelt by expanding the name of my father. Where as in all other documents including my service record and aadhaar card the same has been shown as initials. Because of this discrepancy I am unable to link my aadhaar card to my PAN card.please enlighten me as to how I can link my aadhaar card as per govt notification which has made it compulsory for e filing of IT Returns. Great Stuff! Try to add some images and thorough article that help people to know the actual pan card status procedure. So what is the procedure to get a duplicate card?